Fracking is a critical component of the B.C. Liberal government’s aspiration to develop a liquefied natural gas industry, and the public has been assured the practice is safe and well regulated. A recent B.C. Environmental Appeal Board judgment, however, chronicles a provincial decision-making process around a fracking operation that was informed by untried, slapdash science. 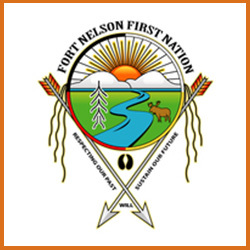 The Fort Nelson First Nation, sitting atop of some of the province’s most important shale gas fields, disagreed. It spent two years standing before the appeal board, challenging a provincial water licence that had been granted to Nexen Inc. The licence gave Nexen the right to take a large volume of water from a small lake over a period of several years to keep the company’s hydraulic fracturing operations running. “There was a high level of uncertainty regarding the potential effects of the licence, and an elevated level of risk associated with those potential effects,” the panel found. The data were so flawed, it rendered the entire withdrawal scheme inaccurate. And, despite warnings from a front-line ministry biologist, there were no reviews regarding effects on fish and fish habitat undertaken by provincial experts or third parties. When the region experienced a drought in the summer of 2012, the Calgary-based company continued to withdraw water – in violation of its licence – damaging the wetland vegetation and likely harming the fish in the watershed. The Nexen water licence is just one part of a much bigger picture. With all the development in the northeast corner of the province, the First Nations in the region say no one is looking at the cumulative effects that are destroying their traditional ways of living off the land. “My family’s cabin and dock is at a lake that people used to come from miles away to fish at. Now the water is yellow, you can’t swim in it, you can’t drink it, there are no fish in it any more,” Ms. Logan said. “Our elders told us, ‘Something is wrong; you can’t find moose.’ It’s so frustrating because nobody seems to be listening,” she said. But the environmental appeal board, in this case, sided with the band, revoking Nexen’s water licence on Sept. 7. Eager to secure an LNG industry, the government was little inclined to question whether Nexen’s water plans were sustainable. Internal government e-mails tabled during the hearing indicate Nexen’s water licence was assured, and promised consultation with the Fort Nelson First Nation was a token gesture. Steve Thomson, Minister of Forests, Lands and Natural Resource Operations, said in an interview the findings of the assessment board suggest the province’s regulatory process needs to be strengthened, and promised a review to address the “significant gaps” that were found. More likely, however, his government will seek to appeal the panel’s ruling. The conclusions of the board do not support the province’s assurances that fracking in B.C. is safe and sustainable.